There could be cause for concern when Porsche decided to "downgrade" its 718 Boxter to a turbocharged four-cylinder from the previous six-cylinder setup. But you'll find the new 2018 Porsche 718 Boxster delivers in all areas. For a thoroughly exciting convertible experience, visit our Thousand Oaks, CA Porsche dealer serving Los Angeles today to see what's new in this iconic luxury convertible. While the changes might not be for everyone, as even this Top Gear reviewer takes issue with some of what's changed, the new version of the 718 Boxster is clearly taking Porsche in a new and bold direction. More power from the turbo four, dynamic handling and steering and a wealth of tech features that complement the whole package make the new 718 Boxster the perfect choice for luxury driving around L.A. and beyond. 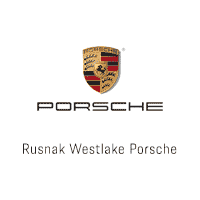 Swing on over to Rusnak/Westlake Porsche today and see more of the new 718 Boxster.